Lehterä is one of 23 suspects in the investigation with some arrested at Lehterä’s summer home. He’s on the bubble to make the opening night roster. Lehterä has a $4.7M cap hit in the last year of his contract, which might be ending soon. 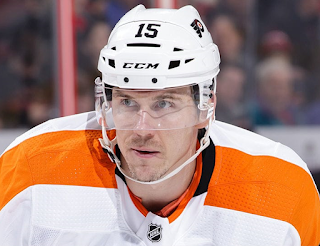 Flyers center Jori Lehterä missed practice Wednesday, as news broke that he has been named as a suspect in a cocaine ring in his native Finland.